Alba reclining sectional sofa in light grey thick Italian leather all around. 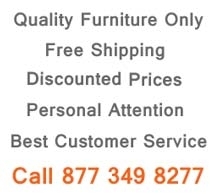 Power reclining mechanism works with a touch of a small button and stops in any position. 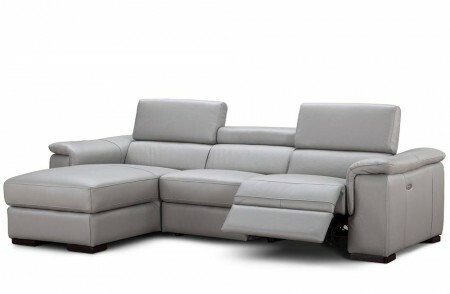 Sectional can be placed close to the wall, with its wall hugger mechanism the recliner will function perfectly. 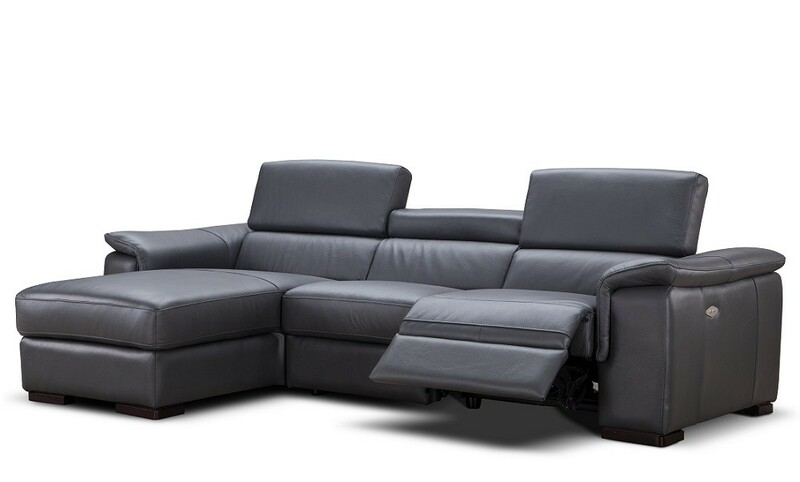 For additional comfort you will find three adjustable headrests, spacious chase lounge and non marking square legs.